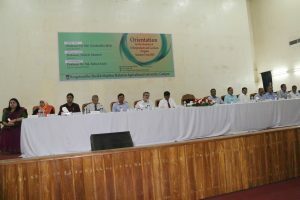 The orientation program of Summer Term 2019 for the Bachelor of Science (BS) (Agriculture/Fisheries/Agril. 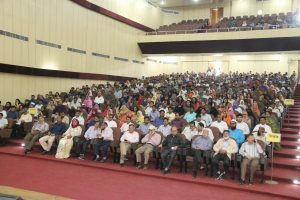 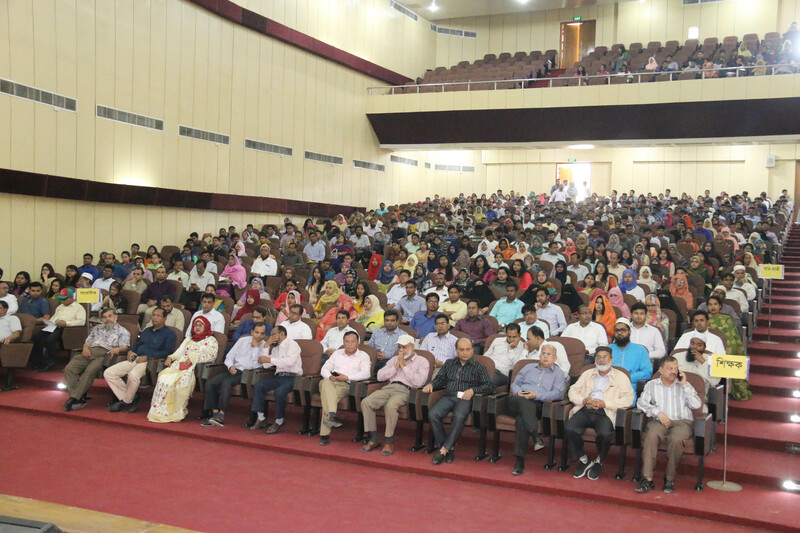 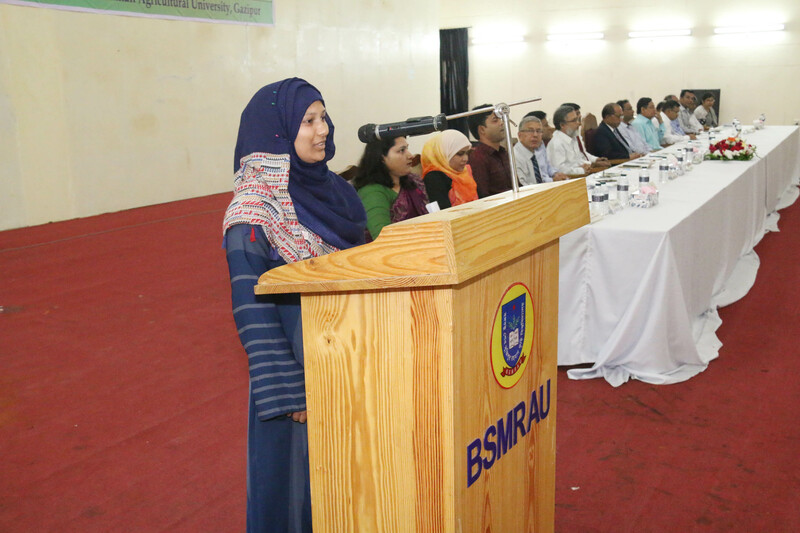 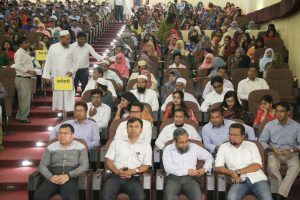 Economics), Doctor of Veterinary Medicine & Animal Science (DVM) and MS & PhD students was held today (24 March’19) at the Begum Sufia Kamal auditorium. 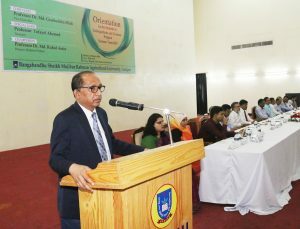 Prof. Dr. Md. 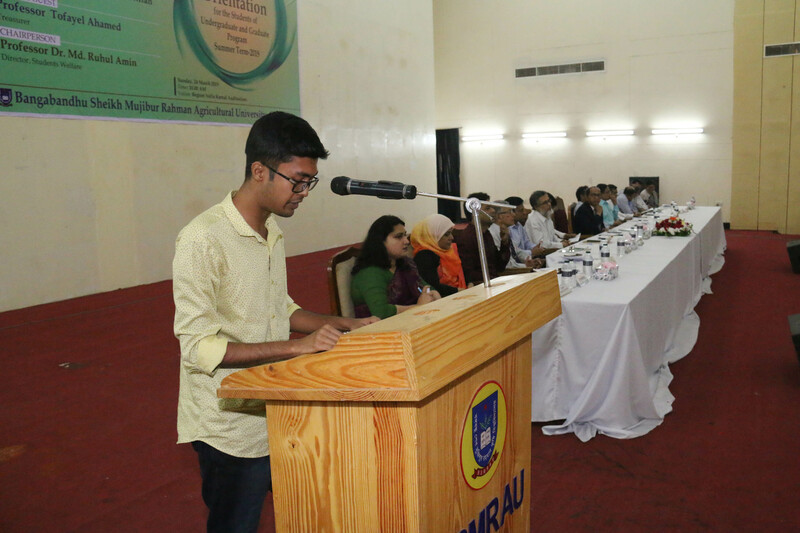 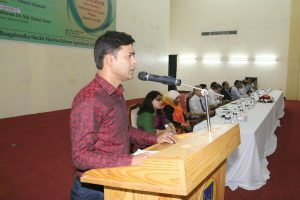 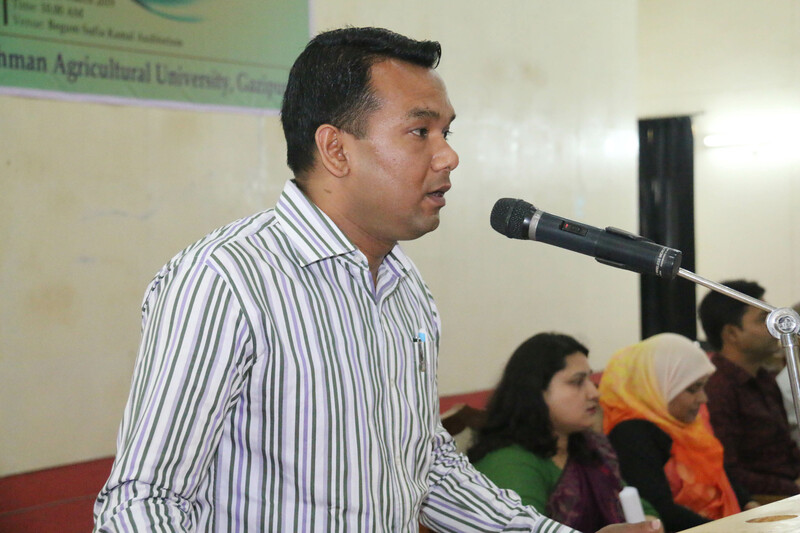 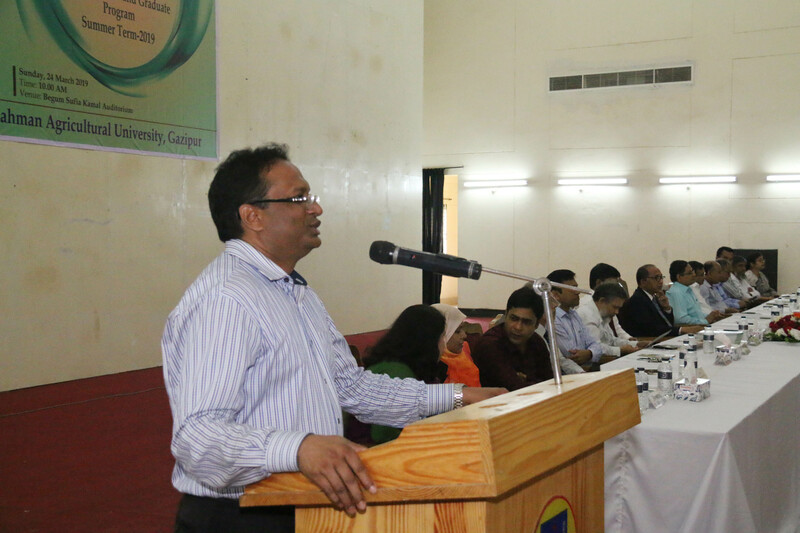 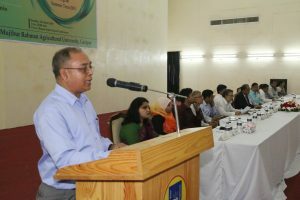 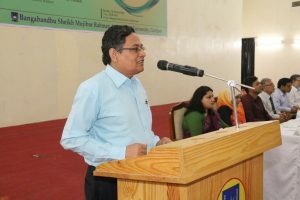 Giashuddin Miah, Vice-Chancellor of the University was present as chief guest and Treasurer of the University Prof. Tofayel Ahamed was present as special guest and they were addressed the audience and welcome the newly admitted students. 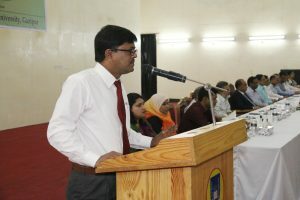 The program was chaired by Director (Students Welfare) Prof. Dr. Md. Ruhul Amin. The Program also addressed among others: Dean, faculty of Agriculture Prof. Dr. M. Moynul Haque, Registrar (Additional Duty) Prof. Dr. Jalal Uddin Ahmed, Provost, Dr. Imrul Kayesh, Proctor Dr. Md. Arifur Rahman Khan and Director (International Affairs) Prof. Dr. A. R. M. Solaiman. Newly admitted students, faculty members and related officers-employees were present at that time.